Since its founding in 1890, Exchange Bank, a locally owned and managed community bank, has been committed to Sonoma County, beginning with father and son Manville Doyle and Frank Doyle who co–founded the bank. As a testament to their commitment, Exchange Bank has been a proud sponsor of the Sonoma County Fair since 2007, primarily supporting the fair’s family stages and kids programs. Exchange bank is also the Fair’s bank, providing excellent service and great rates and helped the Fair accept credit cards, making it easier for families to join in the fair fun. The Sonoma County Fair Board is honored to recognize Exchange Bank for their dedication and support with a Western Fair Association Blue Ribbon Award. The first Sonoma County Home & Garden Show was held 25 years ago and is presented each year in March. In 1994 the Fall Home Show was added in September and four years ago was expanded to include The Redwood Empire Train Show. SC Shows is committed to producing high quality events and has been a great addition to the annual lineup at the Sonoma County Fairgrounds. Since the beginning they have strived to support the best local business and non-profit organizations. "The key to a quarter century of successful home shows has been the people of Sonoma County" stated Guenther Hofen. Over the years, Guenther’ and his dedicated staff, including sales manager have worked with the Fairground’s and local businesses in a team effort to bring one of the best home and garden showcases to Northern California. 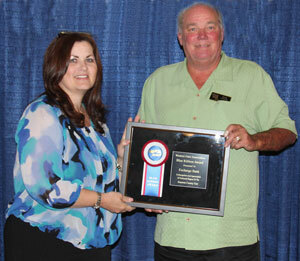 The Fair Board is honored to be the home of SC Shows’ events and and to recognize Guenther Hofen and his staff for their dedication and support with a Western Fairs Association Blue Ribbon Award. Gaye LeBaron and her husband John are one of Sonoma County’s most recognized and respected couples. Gaye, who moved to Sonoma County when she was 14, became her adopted county’s leading historian and best known columnist. Following her graduation from the University of California at Berkeley, Gaye was hired as a reporter for the Press Democrat in September of 1957. In her early days at the newspaper, Gaye was a general assignment reporter covering everything from local politics to the county fair. She later became the Press Democrat’s columnist and realized that the fair was rich fodder for the newsy items and people stories that made a community column successful. 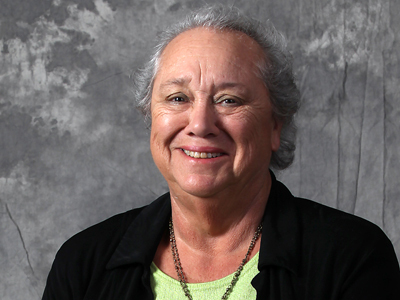 “Gaye has always been about community and hometown characters so the fair fits perfectly into her reporting repertoire. In many ways, the Sonoma County Fair serves as our community’s town square, bringing everyone together for a few weeks during high summer to celebrate all that makes our county such a special place,” said Tim Tesconi, community relations coordinator at Sonoma County Farm Bureau. “Gaye knows the town square is where to find the weird and wonderful stories that have been her hallmark for the last half century.” The Sonoma County Fair Board is honored to recognize Gaye LeBaron for her long-time dedication and support of the Sonoma County Fair. In 2002 Valerie was appointed to the Board of Supervisors by the Governor, she won the election in November, and was re-elected to the Board by the people of the First District in March of 2004. 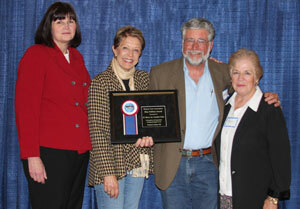 During Valerie’s term in office she supported the Sonoma County Fair in many ways. Valerie showed tremendous support to her Fair Board Appointees, she worked directly with the board on the annual budget and every year she made contributions to the Junior Livestock Auction. Valerie’s dedication to the Sonoma County Fair and to her community is vast. She has been actively involved in all aspects of County government serving on numerous Boards, Commissions, and Committees. 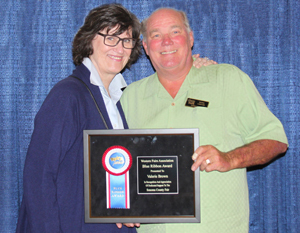 The Sonoma County Fair Board is honored to recognize Valerie Brown for her long-time dedication and support of the Sonoma County Fair with a Western Fair Association Blue Ribbon Award. Dr. “Fred”, born and raised in Petaluma, earned his degree in Veterinary Medicine from U.C. Davis in 1958 and has been a practicing veterinarian ever since, currently as a partner with Cotati Small Animal Hospital. Fred is a strong 4-H supporter, serving as a director of the Sonoma County 4-H Foundation and guiding their four children through a myriad of 4-H activities. The Groverman’s also maintained a flock of Shropshire and Dorset sheep. Fred has judged many sheep shows, hosted sheep health seminars, served as President of the American Shropshire Sheep Association and has authored many scientific articles for national sheep and veterinary publications. From 1980 to 1990 Fred was a director of the Sonoma County Fair. He is a longtime member of Sonoma County Farm Bureau and founded Farm Bureau’s first Young Farmers & Ranchers group. 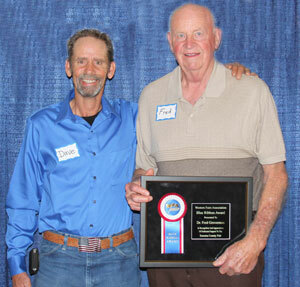 Among the Groverman’s many awards included a dedication in the 1997 Sonoma County Fair Exhibitors Guide Book and both Fred and Pat were named Friend of 4-H for Sonoma County in 2004, and inducted into the Sonoma County Farm Bureau's Hall of Fame in 2006. The Sonoma County Fair Board is honored to recognize Dr. Fred Groverman for his long-time dedication and support of the Sonoma County Fair with a Western Fair Association Blue Ribbon Award. This year, the Fair Board is pleased to honor second-generation Sonoma County resident, Tim Tesconi with the Guidebook’s Dedication. Long before his younger sister became our Fair manager, the fairgrounds have been Tim’s home away from home. Tim began showing cattle at the fair as a young boy. His love for farming, livestock, and agriculture grew into a career. After earning is Bachelor’s degree from California State University, Chico and studying journalism at the University of Missouri, Columbia, Tim spent the next 33 years as the Press Democrat’s farm editor and expert on all things agricultural. No one wrote more knowingly and passionately about the Sonoma County Fair than Tim. In his current position at the Sonoma County Farm Bureau, as Community Relations Coordinator, Tim continues to write passionately and lyrically about our beloved county, its land and extraordinary people who work the land to produce some of the world’s best agricultural products. It has been Tim’s countless years as an indispensible member of our fair family that earned him this year’s Guidebook dedication. 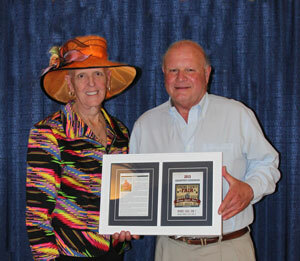 Thank you Tim, for you continued love and support of the Sonoma County Fair! “It takes a village” to create a wonderful, tradition-filled community event and the Sonoma County Fair is no exception. It takes hundreds of community members to ensure that we have a truly wonderful and community inspired event. 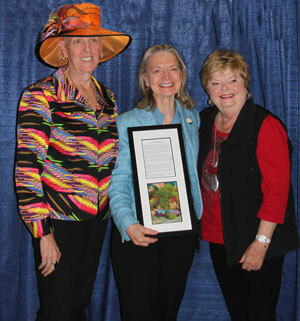 Each year the Fair chooses one long-time Fair supporter to receive the prestigious Hall of Flowers Dedication to show its appreciation for their commitment, tireless dedication and proud support. At the ripe young age of 27, she was appointed to the board of directors of the Sonoma County Fair by County Supervisor Helen Rudee and proudly served for 12 years. Every year since, she has remained an integral part of the fair family, committing countless hours and support for her home town fair. Among her countless valuable contributions to the fair was spearheading the research on the Fair’s history for its 50th Anniversary in 1986. She diligently worked on gathering research and collecting fair history and memorabilia. Without exception, the Sonoma County Fair Board and Staff are delighted to dedicate this year’s Hall of Flowers to one of its most committed supporters, and my friend – Joan Perry Ryan.